I've been thinking a lot about fall transition pieces and how to make my current wardrobe last just that much longer into the fall months. I've been lusting over booties to match with sun dresses and moto jackets over maxis. I'm in transition to fall mode, big time. Then Sassy Steals sent me this dress that just screamed summer and I had to pair it with none other than my trusty jean jacket that I cant get enough of ever. The color and print of this dress just was too much summer for me not to acknowledge so here we are again, jean jacket and a sundress. I really promise I tried to get into fall and begin the process of saying "see you next spring to my jean jacket". But I couldn't. And lezbehonest here, I really just love it. That is one lovely dress girl. 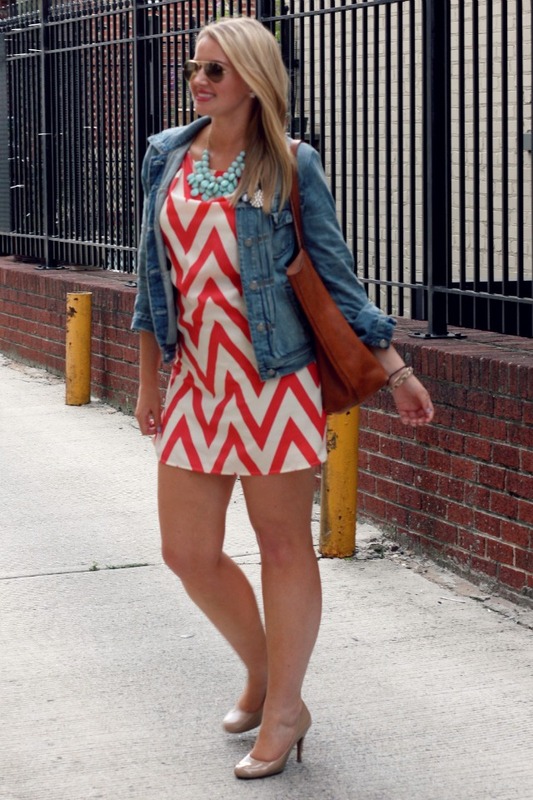 I love chevron. Cute dress! 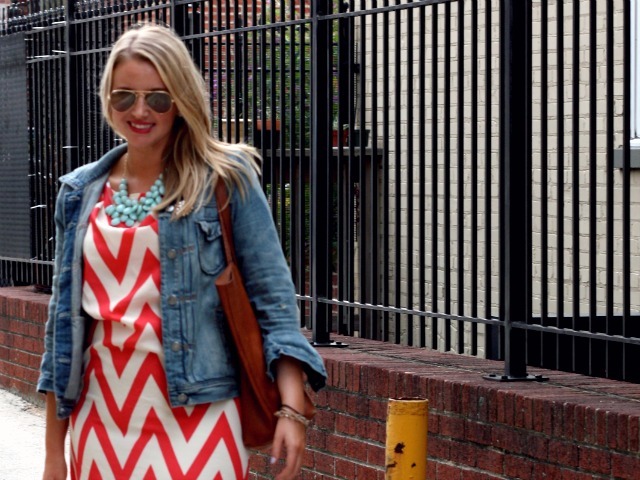 Love how you styled it with a jean jacket! Perfect!